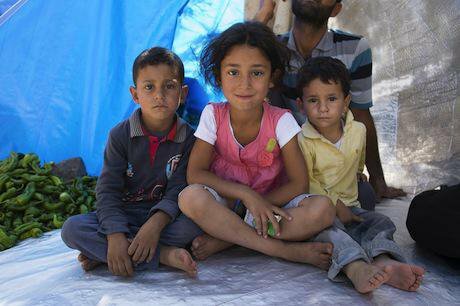 Syrian refugee children in a makeshift shelter. Demotix/Matthew Aslett. All rights reserved. A young Syrian woman took centre stage in a recent Refugee Studies Centre workshop in Jordan, eloquently describing her determination to continue to study to become a doctor. Through the help of an innovative refugee training programme in Amman she was on her way. Yet her case is not the norm; supply of education, vocational training, apprenticeship schemes and psychosocial support for young refugees from Syria is severely lacking. Local and international efforts are failing to meet the needs and educational aspirations of Syria’s young population. The young woman was speaking during a workshop in Amman involving education practitioners, UN agencies, refugee youth and government actors to discuss the educational status of refugees from Syria aged 12-25 years. This arose from research conducted in Jordan, Lebanon, Northern Iraq / Kurdistan Region of Iraq and Turkey this summer. The research team, some of whom are refugees themselves, came from these respective countries as well as Syria, Palestine and the UK. The final report, Ensuring Quality Education for Young Refugees from Syria (also Arabic translation and related Policy Note), maps out the educational supply and demand, gaps and good practice for refugee youth from Syria in the region, involving 118 young people and 79 practitioners in the process. It details how education systems are under immense strain and often unable to meet educational demands from refugee youth in the respective contexts. It also highlights the good practice and advocates scaling up quality education services for young refugees in the region. From listening to the young woman’s aspirations and achievements, the research findings and workshop discussions, it is clear that innovation, leadership and resilience are common characteristics among displaced young people. Yet, at secondary level in particular, demand far outweighs supply, leaving the majority of refugee youth excluded from quality education. Social factors such as economic deprivation and linguistic difference also prevent access to education. The need to earn money to support the family or inability to afford travel to schools or training centres hinders access for many. Educational exclusion can lead to despondency, social withdrawal and a sense of hopelessness among refugee youth, which can result in young people reverting to violence in Syria in a bid to find solutions, having no prospects in the host community. Unless educational opportunities are increased, Syria’s future, as well as that of the region and global community, is in jeopardy. It is critical to tap into the strengths and capture the tremendous potential of young people from Syria. The number of refugees from Syria is currently held at over three million, half of whom are children and youth. Given these alarming rates and the complexity of the conflict, long-term solutions are needed. An integral part of protection in a protracted refugee situation is education and training. Attending school, learning skills or being an apprentice not only gives children and young people life opportunities, but also a sense of stability, purposefulness and hope; components critical to wellbeing.